The tour is a glance of Vietnam from North of Hanoi capital, World wonder fo Ha Long bay, Hoian ancient town, Ho Chi Minh commercial city, incredible Cu Chi tunnels and Mekong delta. Other meals, tips, drinks, international airport tax, single room supplements, peak season surcharges, personal expenses, travel insurance, visas, flights in/ out Vietnam, any optional additional tours or activities during free time. All amendment requests must be received in writing at our office. We will make the changes subject to availability and have the right to charge an amendment fee of US$20 per person to cover our administration costs. In addition to the fee we charge, any alteration, whether a change to an existing booking or a change to another tour or departure date, will also be subject to payment by you of any of the costs imposed by any of the suppliers providing the component parts of the tour. If the trip to which you change to is more expensive than the one you originally booked, a further deposit will also have to be paid. If we are forced to cancel your holiday after departure, we will, wherever possible, make suitable alternative arrangements. If we are unable to make such alternative arrangements, or you reject these for a good reason then we will return you to your point of departure and refund you for any unused services, if appropriate. If your trip or your services are booked, confirmed and you already made payment to us, then we will process the refund to you only if you send us full documents required at the time you make the cancellation. We will complete your refund documents within 30 days from the date we received your request for refund. If you omit any of the required documents, Jewel Tours have the right to reject your refund request. Exploring Ho Chi Minh Mausoleum with the architectural and historical aspects of Uncle Ho’s final resting-place. 12:30 – Get on the bus to Hanoi.17:00– Transfer you back to your hotel. Have breakfast at hotel. Free time till transfer to the airport for flight to Danang. Arrival Danang, you will be picked up and escorted to hotel in Hoian. The rest of day is yours. Today you will get a short flight to Saigon. Arrival Ho Chi Minh, you will be picked up and escorted to hotel. The rest of day is yours. 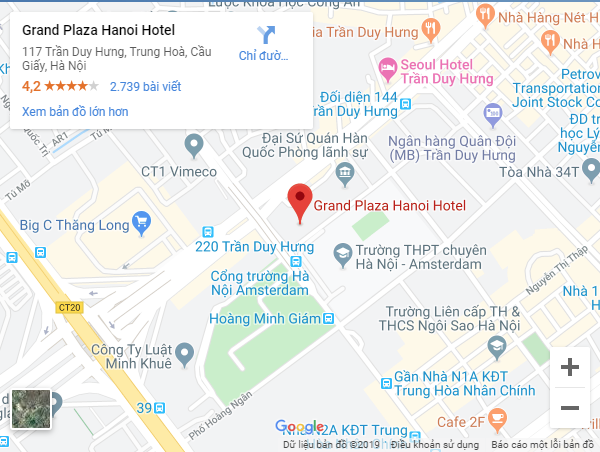 7:45-8:00 Pick up you at meeting point, start to downtown of Ho Chi Minh for touring along the famous Dong Khoi street, passing by the Opera House, Town Hall, Notre Dame Cathedral & central Post Office and Independent Palace. 08:00 - 08:15AM, Pick up at your hotel, travel by shuttle bus to My Tho – 9:30 AM, board a wooden motor boat to Unicorn Island. On this boat along the river’s bank, you’ll be passing through natural creeks and quiet villages and watch rural people going to work. You will see an interesting fishermen's port, stilt houses. One of the boat’s stops during this trip is at a large orchard that has many different types of tasty tropical fruits for your enjoyments. Another boat stop is for the Turtle Island 1hrs from the previous one. Here, on a small row boat, you’ll see interesting transportation modes that local people use to move around. From there, we’ll take you to a bee farm where you have a chance to taste a tasteful cup of authentic honey tea while checking out the folk music that is typical to only the people in Southern Vietnam. After that we’ll take you to a village where you can smell the flavor of coconut candies being made many yards away. This is a great chance to witness how village people make candy and handcrafted items from coconuts. You might learn that those people can amazingly make dozens of useful products out of coconut trees. Transfer back Saigon. The rest of day is yours. Have breakfast at hotel. Free time for shopping on your own budget till transfer to the airport for flight back home. End of services.